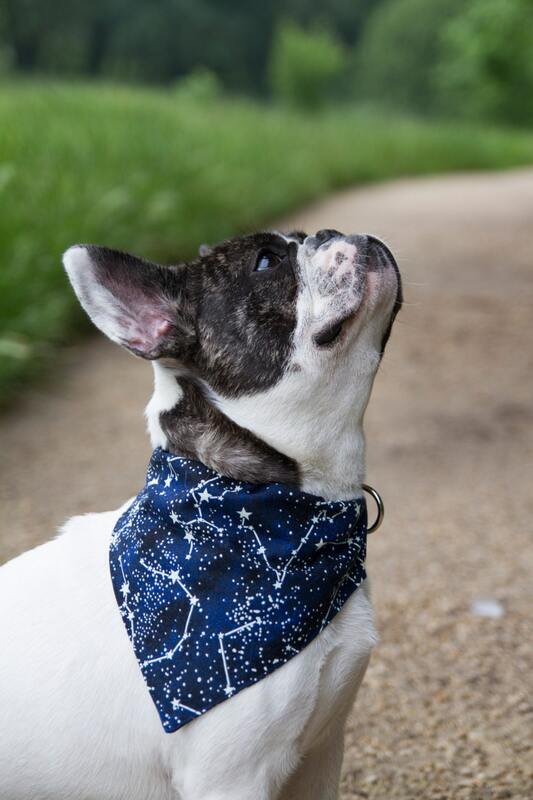 This dog bandana is handmade in a beautiful glowing in the dark stars fabric. 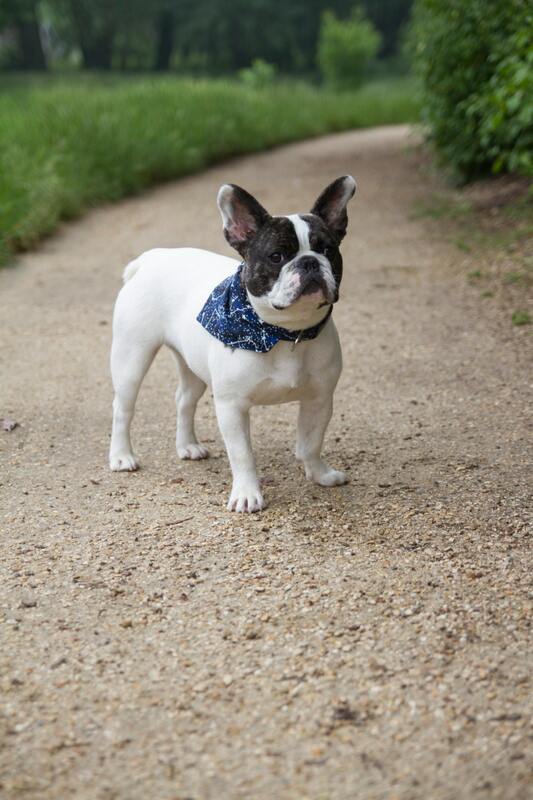 Bandana sizes match with collars sizes (for a S sized collar, choose a S sized bandana). If you have any doubt about the good size to take for your dog, please ask me and I will be glad to give you some advice. The product was not a bandana to put around my dogs neck. It was a small piece of fabric that I cannot attach. I would like to return the product. I was very disappointed! 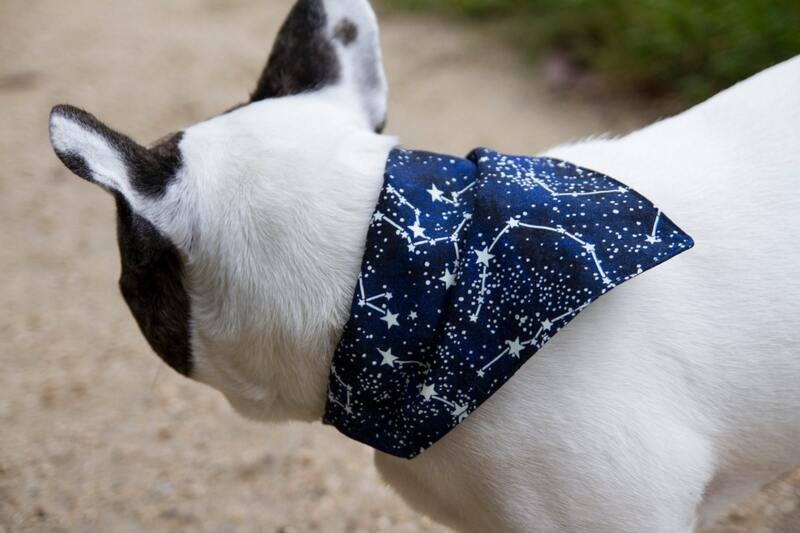 J'ai commandé ce bandana pour ma chienne Border Collie : il lui va à ravir ! La taille est parfaite, j'adore ! 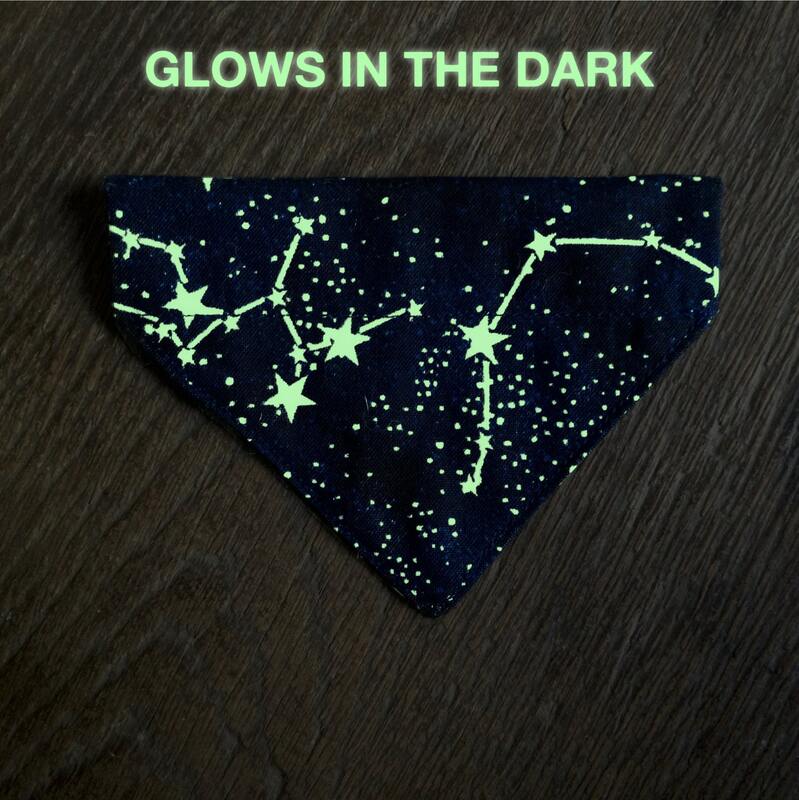 Très joli petit bandana aux étoiles blanches le jour, réfléchissant la lumière dans la nuit : mon petit chien (taille d'un petit chat) sera vu par les phares des voitures le soir ! Je suis ravie ! Ce cadeau est joli et très utile pour nos animaux quand il fait nuit ! 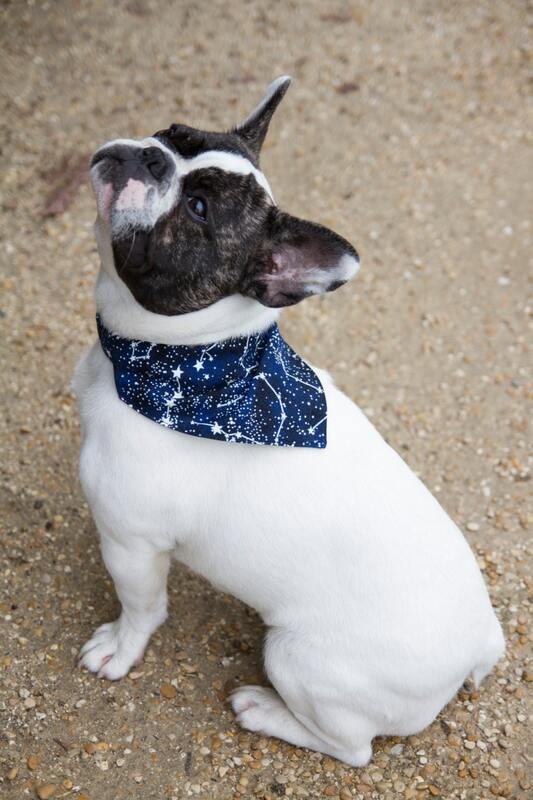 Ce bandana est galactique, mon Jack Russell Anton est si fier et il le porte avec dignité! Merci et à bientôt!!! My mutt gets a lot of compliments (more than usual) while wearing her bandana. It's very well made and the seller even customized it for me.